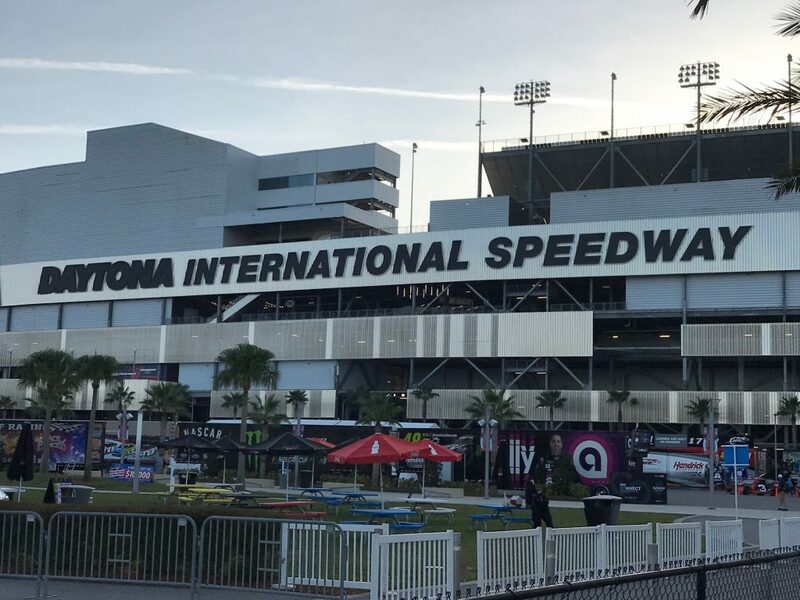 Daytona 500 is the premier NASCAR race and for many is a dream event. 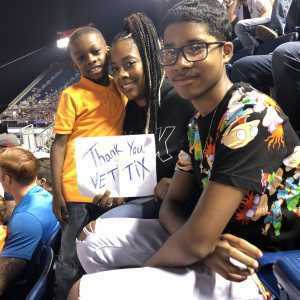 This year, thanks to purchases by Vet Tix and donations from Daytona International Speedway, hundreds of VetTixers were able to attend this prestigious race. Among those in attendance was U.S. Army veteran Bob Hanna. A native of New Milford, Connecticut, Bob didn’t just attend the race – he made the 18-hour drive to give back to the organization he says has given him so much. 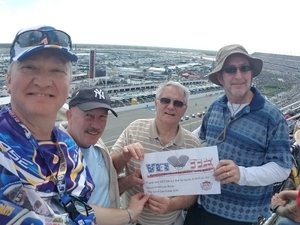 Hanna, along with other volunteers organized by Vet Tix’s partner Blue Star Families, spent the weekend selling tickets for the Daytona 50/50 Raffle, which raised more than $233,000. 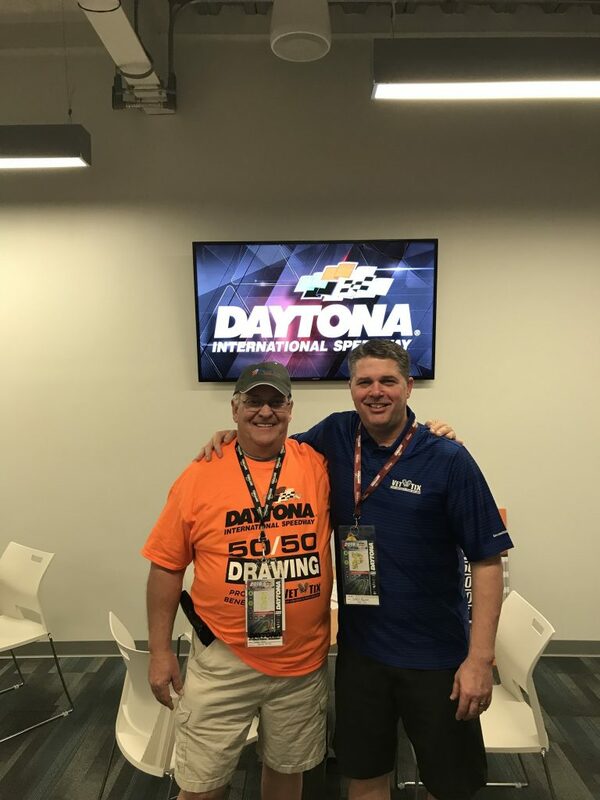 The proceeds were split between one lucky winner and Vet Tix, which will use the funds to directly purchase more tickets to send VetTixers to future races at Daytona. 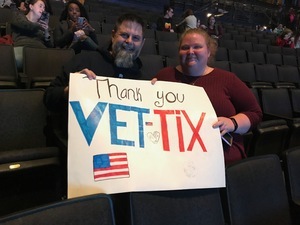 A VetTixer for more than nine years, Hanna has an intimate understanding of the Vet Tix mission and has attended more than two dozen events – including a New York Yankees game, Brad Paisley and Toby Keith concerts, and The Tonight Show starring Jimmy Fallon. Hanna contributed to his family’s history of service by serving in the Army from 1975-1985. His father, brother, wife, and daughter along with his father-in-law and two brother-in-law have all served, establishing a legacy that dates back to World War II. 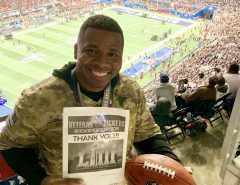 He notes that he feels most comfortable at Vet Tix events because of the sense of security and brotherhood that comes from sitting among other veterans and service members. 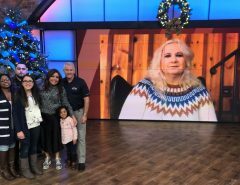 Attending Vet Tix events has helped maintain Hanna’s connection to the military community; volunteering and giving back has only deepened those ties. For more volunteer opportunities, visit bluestarfam.org, or check out our other strategic partners to find ways to give back with your time. Vet Tix would also like to thank volunteer groups headed up by Dr. Craig Schmitt, Ph.D. from the University of Florida’s Eric Friedman Tourism Institute, Department of Tourism, Recreation and Sports Management and Dr. Kristi Sweeney, Ph.D. Assistant Professor of Sport Management at the University of North Florida. We had an incredible time at the Lomachenko vs. Crolla fight! I'd like to thank VetTix and the 61 individual donors who were so generous in making it possible for us veterans to attend the fights! I cannot thank Vettix and the Daytona International Speedway enough for the tickets to the 61st Daytona 500. The seats were absolutely fantastic!!! I called two of my Air Force veteran friends who live in the Orlando area and they, along with my Uncle, had a great day catching up, looking at all the terrific displays before the race, and watching a terrific race on a beautiful Florida day! The Speedway does such a great job with all the events and moving so many people so efficiently. What a great day! I cannot thank you, thank you, thank you enough for such a wonderful day!!!!!! Thank you so much Vet Tix for our Tickets for the Monster Energy Supercross-Motorsports we had so much fun. Thank you to AEG for providing tickets to the veteran's community for a very nice show. 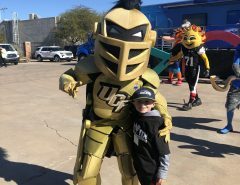 This was a great family event that it was nice to see kids and adults enjoying. The seats were in an excellent location, and the venue was very nice. Thanks again!